Each month we’ll take a look at some of the crates and boxes out there. 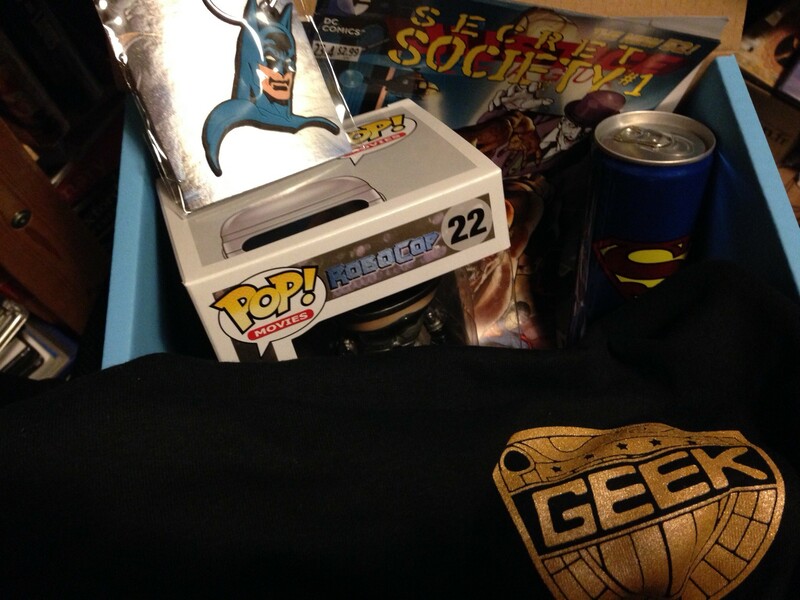 MyGeekBox.co.uk is a UK company that provides a monthly box containing a T-shirt and a mix of geek items. The theme for January’s box is ‘Justice’, which was also the theme of the first ZBox from Zavvi. So how does the MyGeekBox stack up? The first item, as usual, is a T-Shirt. This month’s is a cool Judge Dredd style mashup Tee with ‘Geek’ written in place of Dredd on the badge. It’s a little minimalist, but works well. 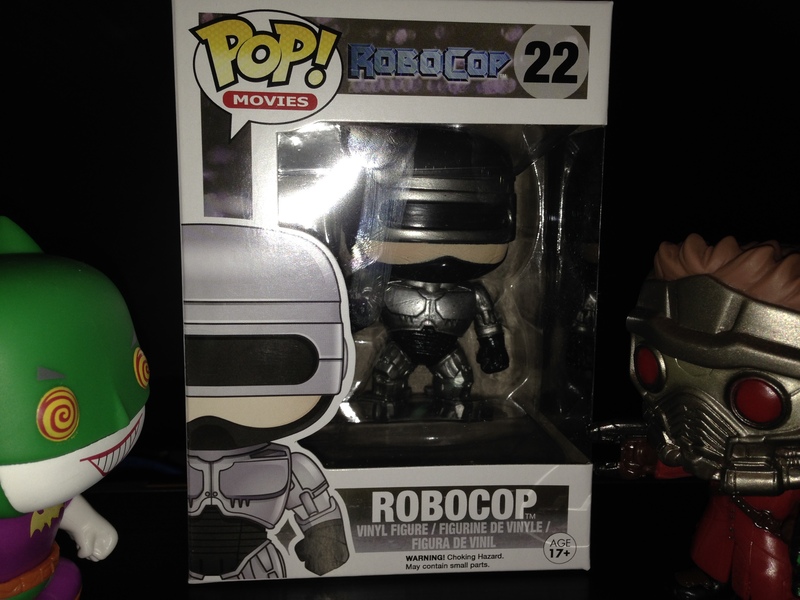 i was pleased to find another Funko Pop vinyl figure in the box. I love these, though they have absolutely no use other than to act as a dust magnet. This is one of the best so far, though, ranking up there with last month’s Joker/Batman mash up. So, what is it? Why, none other than 1980’s Robocop. Not only that, but it’s all dented and shows signs of having recently been in a firefight. Rounding off the package we have a Batman key ring, Superman energy drink and DC comic, alongside the usual magazine. It’s probably a little disappointing for Marvel fans, but overall it’s another great box from MyGeekBox with a good assortment of items. Look out for more unboxings over the month and check out the video below where my two helpers loot the box for goodies.